Yesterday at our editorial staff meeting we were asked to come up with one skill we’d like to learn in the new year. After everyone had taken their turn, and the topic of conversation had turned, it was casually suggested to me that the skill I should be working on is patience. It’s true. 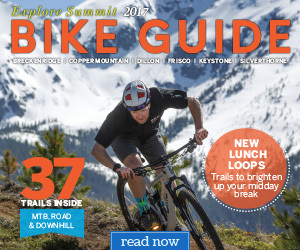 I had been caught talking for the millionth time about how bad the drivers are on Hoosier Pass. I’ve never really considered myself an angry person before, but in my car, on the way to, or from, Park County, I start to resemble the whiney, sometimes irate King Joffrey in “Game of Thrones.” First there is the rage, the screaming — even my dog gives me this look from the passenger seat as if I’ve lost it. And like the pathetic king around his bossy mother, it then turns into a sniveling, pleading defeat. I’m all for driving at the speed you feel comfortable with, and slowing down in bad weather. But if you want to drive 30 miles an hour under the speed limit, just use one of the eight pullouts along the way and let the seven cars piled up behind you pass. I know some of you will now think I’m the crazy driver tailgating during a blizzard, but I’m really not. I’d never pass on a double line and I don’t speed. I’d just prefer people not pull out in front of me and then drive 10 mph. We should all have a little common courtesy and respect for each other on the road — and that goes for myself. It’s dangerous out there and I’m starting to realize that I’ll get there when I get there. But that doesn’t mean I’ll stop complaining, even if just to annoy my coworkers. 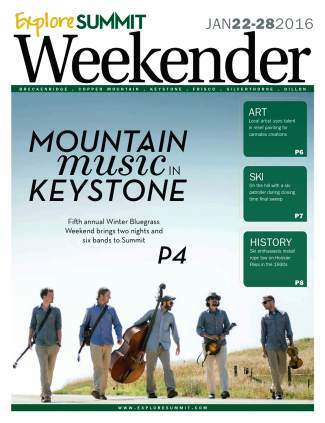 Six bands will take the stage on Friday and Saturday this weekend for Keystone’s fifth annual Winter Bluegrass Weekend. 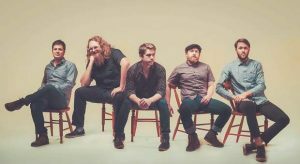 The festival features three RockyGrass Band Competition winners, including the Railsplitters (2013), Caribou Mountain Collective (2014), and RapidGrass (2015). 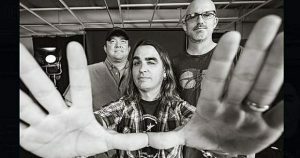 Local band The Pine Beatles will also perform on Saturday as they have for the past five years. In the band is guitarist Ben Brewer’s 13-year-old son Jacob, who will be playing the ukulele and trumpet. How great is it when music becomes a family affair — and for this festival, a fundraiser for the Dercum Center, local nonprofit that works hard to bring talented artists to the county for us. Check out page 14 for a full schedule of performances. An opening reception for a new art exhibit, “Earth and Sky,” will be held Sunday, Jan. 24 in Frisco. The Summit County Art Forum is unveiling a new exhibit at the Summit County Commons, and the opening will start at 4 p.m. “Earth and Sky” celebrates the outdoors through the work of 10 local artists, including Daniel McVey, Katie Romanoski, Bill Linfield, Susan Simon, Joe Patane, Todd Powell, Christina Davis, John Mirro, Charles des Moineaux and Jamie Callahan. Breckenridge Music Festival’s Applause! is hosting an evening of jazz, wine and food on Friday, Jan. 22 at 7 p.m. at the Breckenridge Nordic Center. 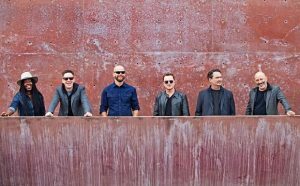 The Michael Friedman Quintet have performed at many venues throughout the metropolitan area including Denver City Park Jazz Series, Elway’s in Cherry Creek, The Denver Health Medical Center “Nightshine Gala,” and the Dazzle Jazz Club. For ticket reservations and further information, call (970) 453-9142 or visit breckenridgemusicfestival.com.